Dublin based outfit The Urges return after what seems like a very long hibernation with a brand new single "Passing Us By"/"Corners Of Her Mind". The limited edition 7" vinyl single will be released by Mersol Music on Saturday April 18th to coincide with Record Store Day and it signals a new direction for the band. These tracks are a taster from their forthcoming album "Time Will Tell" and as they say in their press release, "The Urges have moved out of the garage...!" Fans of their raucous debut album "Psych Ward" which was released on Wicked Cool Records by Little Steven back in 2008, might be a bit surprised to hear that the band have indeed progressed from their raw Psych roots. They have adopted a far more gentle, almost pastoral style of Psychedelia, incorporating soulful brass and string arrangements. 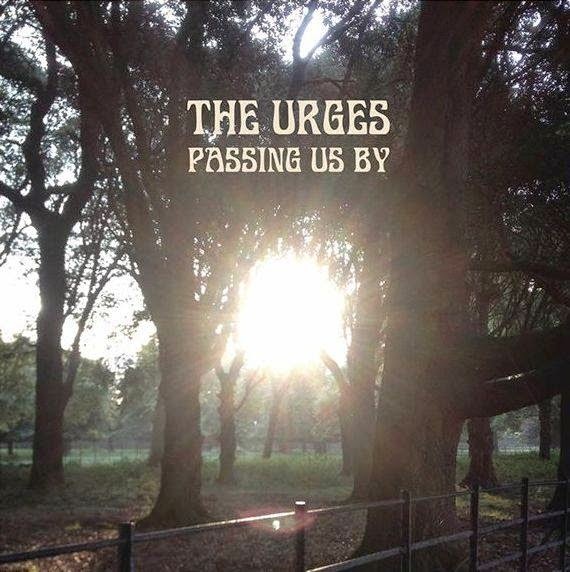 "Passing Us By" is reminiscent not just of the classic sun-kissed Californian Sixties sounds of The Doors and Love, but also of more recent acts such as The Coral and Shack. There's a nice cinematic feel to the track and yes it's certainly different to the last time I saw the band. That would have been around the time of the release of their debut album, it was in New York, supporting The Soundtrack of Our Lives and they impressed me a great deal as they slammed out an energetic set of high-tempo tracks such as "Jenny Jenny". It's true, The Urges might have mellowed a bit but don't worry, "Corners Of Her Mind" proves they still have a bit of bite about them. This is a great track with chiming guitar and stabbing organ battling with Teardrop Explodes style brass. It's an uplifting and melodic little masterpiece that should satisfy old fans as much as it will be sure to impress newcomers. Can't wait for the next album! Here's the video to one of the tracks from the new single, this is "Passing Us By"...enjoy! The band host a release party at the Grand Social in Dublin on Friday April 17th and then play Mr. Bradley's in Cork on the 18th and Belfast Menagerie on the 25th. For more details on upcoming shows and of course information on the new single and forthcoming album "Time Will Tell", please check out the band's Facebook page. We'll be playing "Corners of Her Mind" in the next episode of Retrosonic Podcast so keep an eye on the Blog for that. With thanks to Luke.